Mayor Pete Buttigieg, one of the many Democrats running for President, keeps trying to play a Christian on television, and it's been going badly for him. Buttigieg recently said of Donald Trump, "It is hard to look at his actions and believe they are the actions of somebody who believes in God." On "Meet the Press," Chuck Todd asked Buttigieg about that. 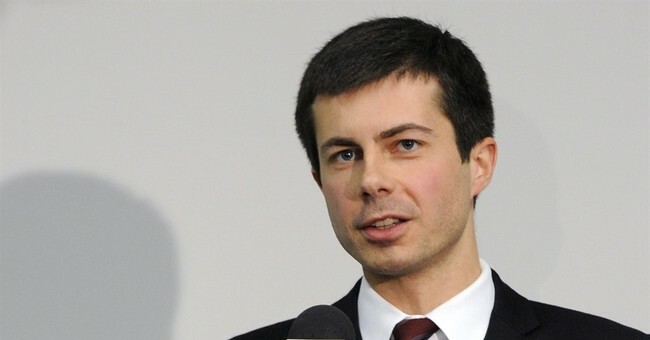 Buttigieg thinks the President does not behave as one who believes in God because, as President, Trump is not following scriptural commands. Then, Todd asked Buttigieg about his position on abortion, and Buttigieg's response was that abortion is a moral issue and we cannot legislate morality. In fact, Buttigieg tried to wave away the clear science on the issue of when life begins so he could argue about governing based on our morality. This is why progressive Christianity is so corrupt and flawed. As much as Buttigieg makes a valid critique on the President's behavior and some evangelicals excusing that behavior, Buttigieg wants to reject the inconvenient parts of faith he does not like. He is a gay man who got married; he does not think homosexuality is a sin despite express statements in scripture. And he thinks abortion is a moral issue. He would, he says, avoid governing using his morality. Lastly, note that as Democrats make science their god, Buttigieg does his best to avoid the science of when life begins. He knows he cannot argue that point, so he refuses to even accept it as part of the debate. That is what trips him up. The science amplifies the moral case against Buttigieg's position. Undoubtedly, however, Buttigieg will make the moral case for accepting transgenderism and demand we legislate on it. It is just the children in the womb he is OK discarding. The same God that commands we take care of the widows, the poor and the refugees commands us to take care of children, too, Pete.